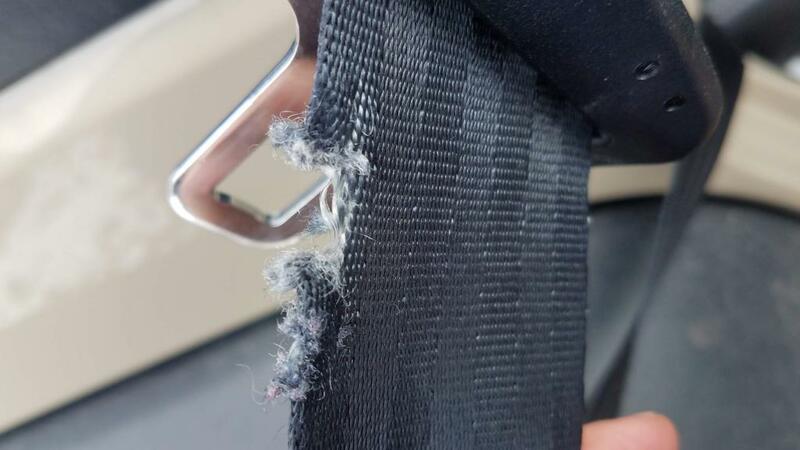 The rear seat belts were already replaced by the previous owner at 20k miles. After purchasing the Jeep a month ago, we realized one of our rear seat belts was damaged. I assumed this would be a no-brainer safety repair by our Jeep dealership. The indicated that the best they could do was to charge us $310 to have a fully functional seat belt on a 2017 Jeep. Note, the same belt was replaced 1 year ago, and is already damaged again. It seems laying the seats down, according to the Jeep dealership, can cause this damage. So far, it seems the only solution Jeep has in mind is that I pay to fix the seat belts once a year, or go with them not working 100 percent. It seems absurd to me. If others are having this issue, please call Chrysler/Jeep and report it as if they receive enough reports on it, there will be a recall. I imagine we are not the only ones.